You can download the 15 free lessons from here on a PDF file. 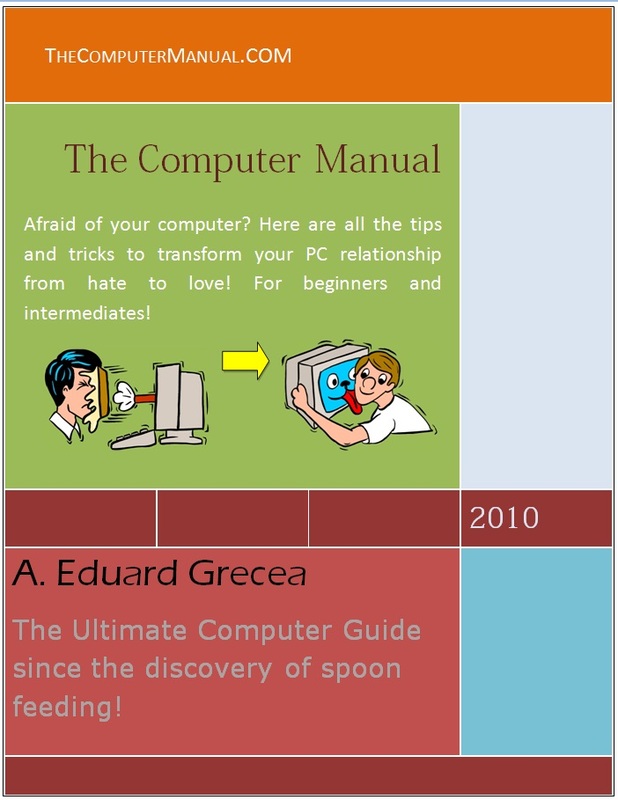 This is a free lesson from The Computer Manual, if you are interested in a computer basics manual, and or tutorials, visit the TheComputerManual.com to see the contents and pricing of the book and the video tutorials. Archive files are collections of compressed files and folders. If you did not now, most software is composed of multiple files and folders. In order to be easily manageable, software comes packaged in archives of many types. Most software installs come into a packaged archive which is self extracting. For example Microsoft uses cabinets as archives. The extension for that is *.cab. Sometimes Microsoft releases software with the extension MSI. That is a proprietary file type which contains a small database and cabinet files. The MSI files are opened usually with the Windows Installer service which runs automatically in any Windows® Operating System. A few common archive types are cab, rar, zip, ace, arj, tar.gz, gz, tgz. All these archives type need a software package with which to be opened. In the last decade most archiving utilities have implementing options to open as many other archive types, but usually the proprietary tool allows for more features. The most common used archiving tools are WinZip, WinRar, 7zip, WinAce. 7zip is free and it can open all the other formats. So if you see a file with the extension *.zip, *.cab , *.rar,*. ace and so on it means that is an archive file and it needs additional software installed to be opened. Lately Microsoft has been releasing Windows® OS with some form of archiving awareness. Windows® XP automatically displays files with the*.zip extension as a folder with a zipper on it. Most of the archiving software uses icons which mostly show a zipper on the archive. Winrar uses a stack of books icon, and WinAce uses an icon that looks like vice grip compressing a sheet of paper. You need to know that every time you open an archive you can’t just run the application from within. 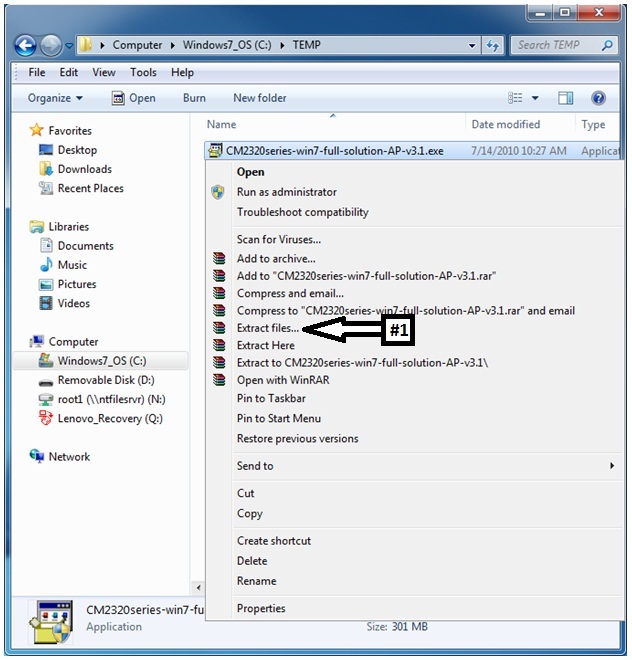 I mean you shouldn’t, it is possible but if the application needs to be installed then you need to extract the files into a temporary location and then run the setup.exe to install the application. If you have only one document file like a PDF or something else then you can just run it automatically because the software will extract end open it for you. But you should always try to extract it first. Because if you have a large archive file it is going to take a while until you get to see what you ran, because the extraction is done in the background. Below are a few images with archives file so if you similar icons, remember it is an archive. But if you install an archiving utility, then that archiving utility can associate itself with all archiving types and then all archives are going to look as for example 7zip archives. So take notes on what you are installing and remember what you did. Sometimes you need to extract an archive file that comes in an executable. Yes in order to benefit from an archive without buying the archiving tool you can have it in an executable, it is called a self extracting archive or SFX. Sometimes applications which come in SFX files automatically install on your system. If you want to just extract the archive you have to have WinRar installed. To do so just right click it and from the menu select (#1) extract files.